While visiting Van Damme State Park in California, I saw a few of these cool rodents. 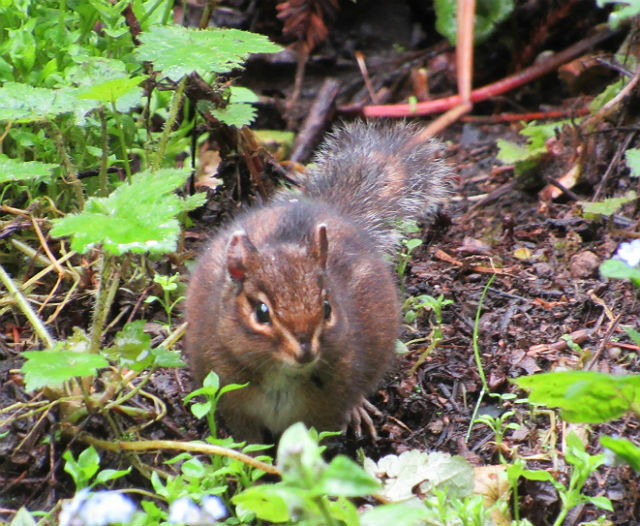 Also known as the Redwood Chipmunk, this is a member Squirrel Family. 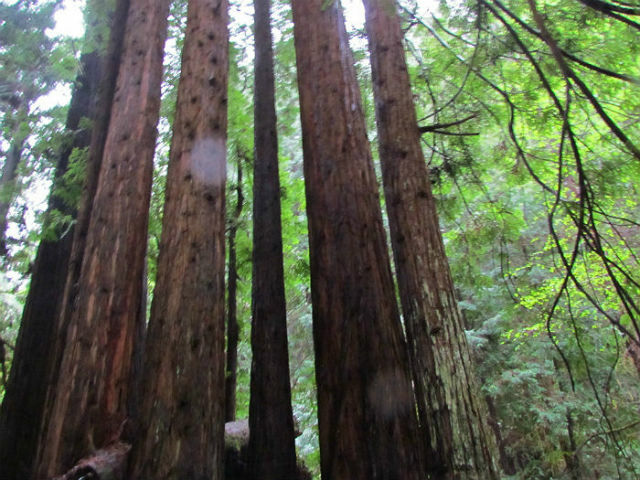 It is endemic to areas near the coast of northern California in the United States where it inhabits coastal coniferous forest. 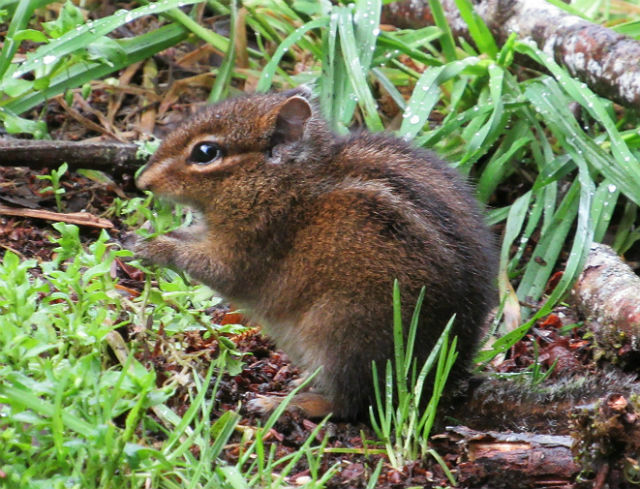 The Yellow-cheeked Chipmunk is tawny olive in color with five dark stripes on the body and three on the head. As the name implies. As its name implies, a pale patch of fur is found immediately behind the ear. This animal is secretive in its habits and rarely seen, but it can often be heard emitting its characteristic shrill double-syllable “chuck-chuck” call. These animals rely on Coastal Redwood forests and mixed conifer or Douglas Fir forests for their habitat. At the end of winter and beginning of spring, a significant portion of their diet consists of fungi. The rest of the year they consume is a very wide range of seeds. 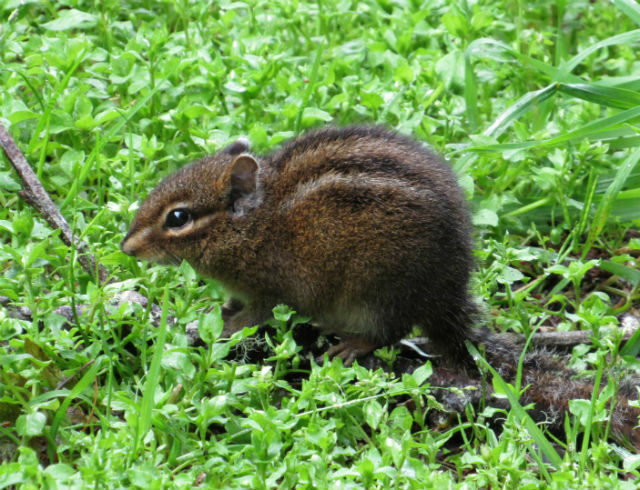 The Yellow-cheeked Chipmunk has a limited range with a total area of occupancy of only 7,700 square miles, though its population is steady and it faces no particular threats. This is a neat creature that few people get to see – and a great part of my California adventure. 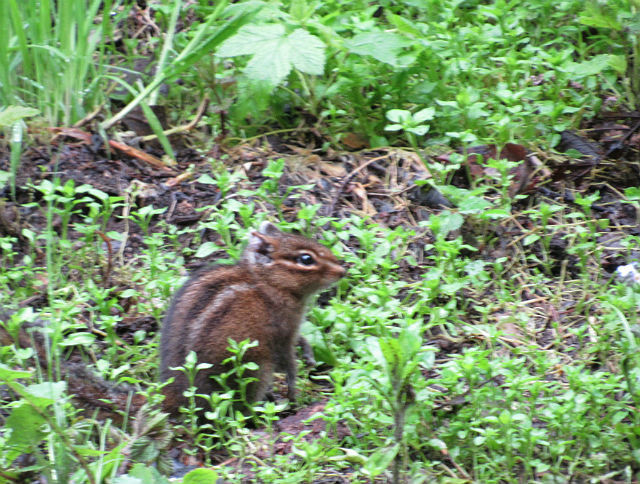 This entry was posted in Mammals and tagged Yellow-cheeked Chipmunk by tspuckler. Bookmark the permalink.